We rode 70 miles toda - our record up to this point. 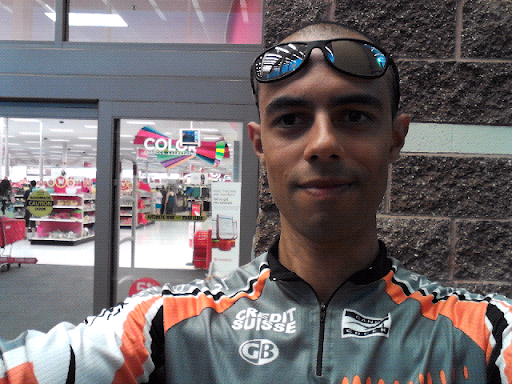 My uncle is inside a Target store getting some food and I'm waiting with the bikes. Except for a blistering pain I've been feeling on my both legs for the last 20 miles caused by the pants rubbing on the same spot while riding, I'm feeling pretty good!